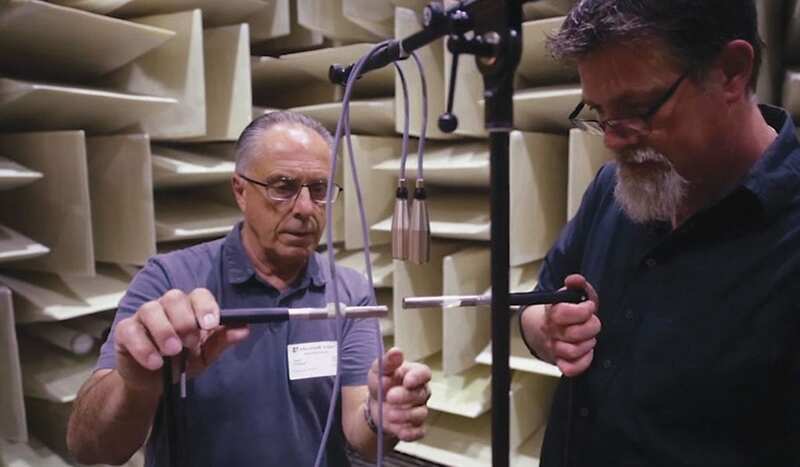 Cambridge, MA—Microsoft now holds the Guinness World Record for Quietest Place on Earth. And Eckel Noise Control Technologies helped the tech giant get there. Building 87 in May 2014, under the direction of Eckel’s installer, Viking Enterprises (Waterford, CT). Eckel completed the entire project in July 2014 (which also included constructing two smaller anechoic chambers). “We designed this and other super-quiet acoustically-controlled chambers to engineer and build best-in-class audio products at Microsoft. We use these facilities for designing products like the Surface, HoloLens and Cortana, that we take great pride in,” said Hundraj Gopal, Ph.D., Microsoft Principal Human Factors Engineer. 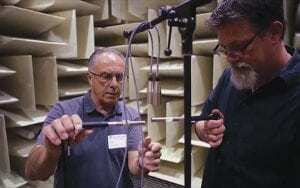 -20.6 dB—Microsoft and Eckel had shattered the previous world record for The Quietest Place on Earth and far surpassed engineers’ prediction of -16 dB. The previous record was -13 dB (held by an Eckel anechoic chamber at Orfield Laboratories in Minneapolis). To provide some sound context … the theoretical noise produced by Brownian motion—the random movement of particles in air—is the quietest known sound outside the vacuum of space, and is measured at -23 dB. Calm breathing comes in at +10 dB; rustling leaves at +20; normal conversation at +60 and a jet plane takeoff at +150 (at 25 meters). 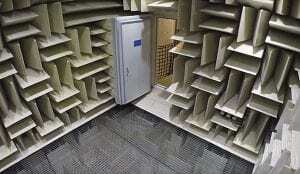 Anechoic Chambers are echo-free environments with a sound absorption level of 99% to 100%. They are used for acoustic measurements in a wide variety of R&D applications. The record-setting chamber’s walls, ceilings and door are fitted with Eckel’s sound-absorbing anechoic wedges. Anti-vibration mounts isolate the chamber from the rest of the building’s foundation.